The God or Absurdity Facebook page has been unpublished for posting things critical of Islam. I've also been banned again from Facebook (3 day ban and 24 hour ban on my two main backup accounts). This means that we've essentially lost our more than 11,000 Likes and what was a peak reach of over 1.7 million people a few weeks ago, and we're starting again with just a bit over 500 Likes on the new page and a reach of only a few thousand people. I've put an appeal in, so there is a chance they will reverse their decision as I don't believe we have violated any of their community guidelines, unless they've got a secret one called "You shall not criticize or even discuss Islam". 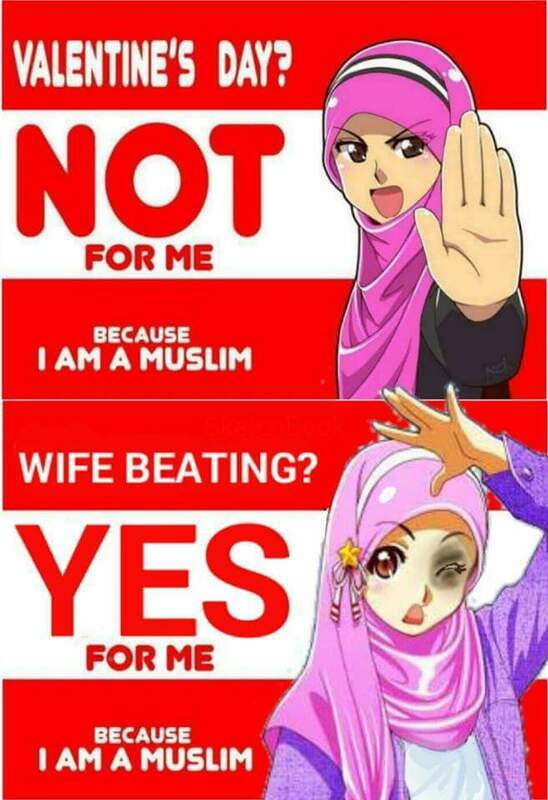 Anyway, why should people be welcoming and respectful of things like wife beating? Below is the meme that was removed from our page for violating Facebook's community "standards"
How is it that the meme is still up on the original page that shared it? It really seems like some admins just don't like our page and want us shut down. Perhaps it wasn't reported by anyone on the Pegida page. But with our page I know that we've got a lot of haters because we consistently speak the truth and expose evil, and that really bothers those who are living a lie. As an example of this, I had one black racist supporter of the Black Panthers who was crowing that he got a notification from Facebook basically thanking him for reporting the God or Absurdity page and helping get it shut down. All of this is made more absurd by the fact that there are numerous militant atheist Facebook pages out there that regularly post mocking memes that misrepresent Christianity and that are far worse than what I have posted about Islam. 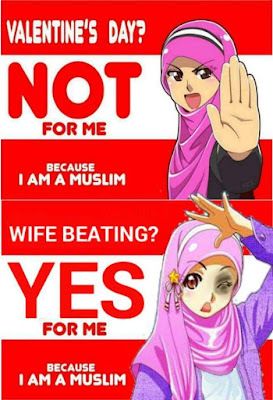 Wife beating is just one part of the barbaric nature of Islam that the secular media do not want people talking about. Islam continues to be in the news on a very regular basis but few people are willing to talk about why Islam is so violent. When you look at the actual teachings of the Quran and Hadith you find that Islam is not a religion of peace but that it is a religion of violence and oppression. Most Muslims are good people from a human perspective, but most Muslims haven't read all of the Quran and even fewer have read the Hadith. I've read the Quran and studied the Hadith and I encourage others to do the same. Then compare actual Islamic teaching with the teaching of the Bible and the commands of Jesus Christ to love our neighbors and even to love our enemies. What are some things that you can do? Like the God or Absurdity backup pages (God or Absurdity Reloaded, and God or Absurdity Revolutions). Share this blog post to help get the word out about Facebook censorship and the truth about Islam that the mainstream media aren't talking about. 7 Posts Facebook Banned From Our Page (But Pedophilia and Death Threats are OK?) - God or Absurdity Blog. Facebook Keep Censoring My Posts on Islam and Shutting Down My Facebook Page - God or Absurdity Blog. The Quran - Doom and Hell-Fire - God or Absurdity Blog. What was the name of the page, and why do you think it was unpublished? Have they given you a chance to appeal?